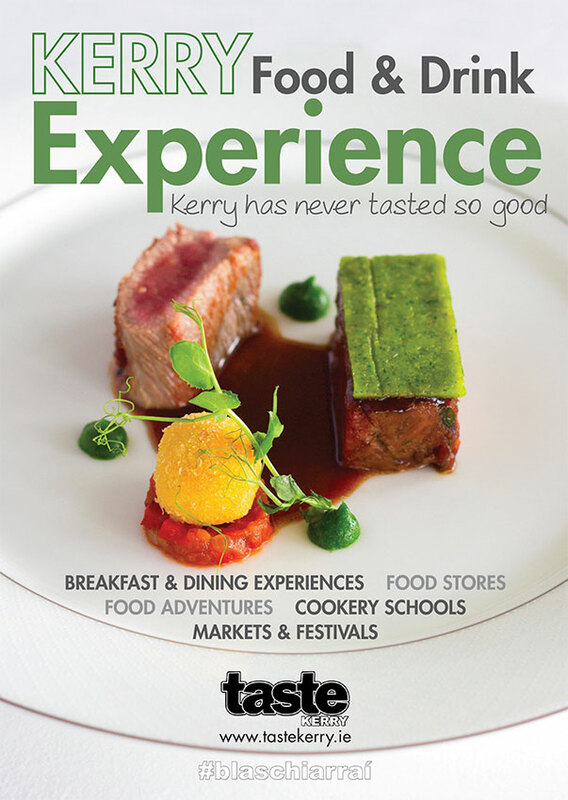 Taste Kerry is an organisation that promotes food and drink in Kerry. 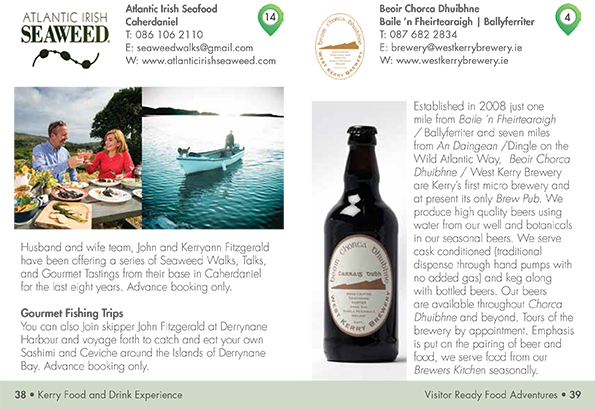 While promoting food tourism and encouraging new visitors to the Kingdom, Taste Kerry also adopts a distinctively original approach by bringing together all aspects of the food industry to encourage inter-county trade and promotion of food tourism across the county. 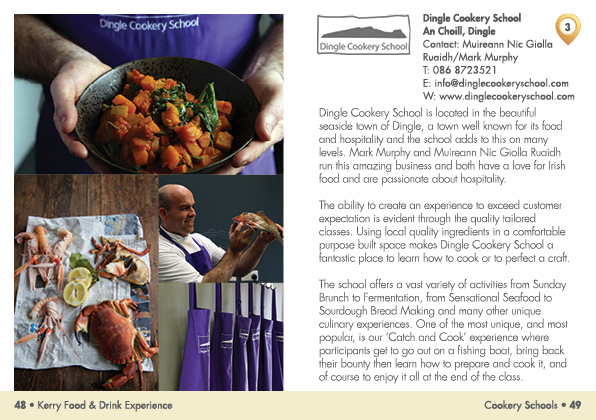 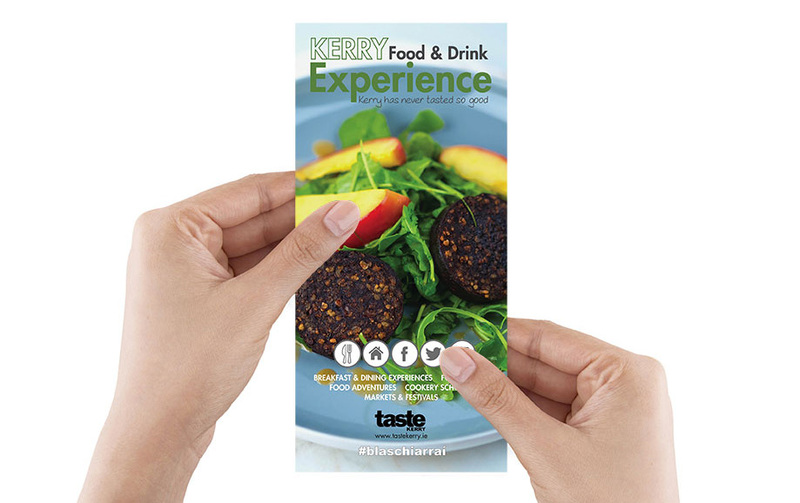 We have been working with Taste Kerry over the past year to create a range of marketing material for various initiatives. 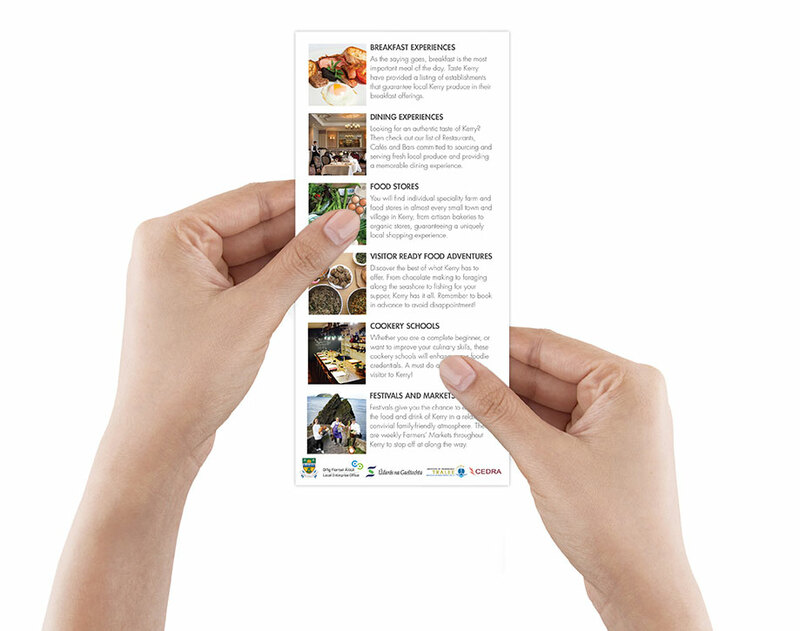 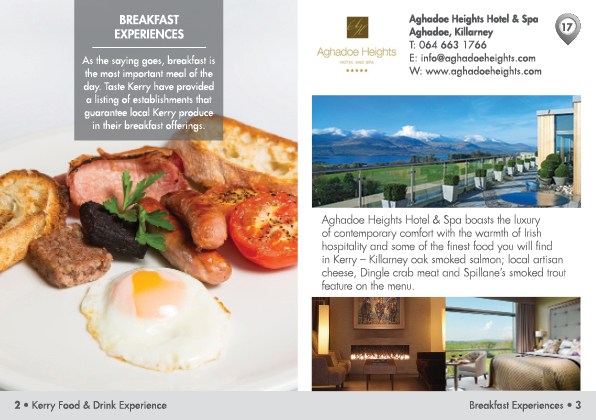 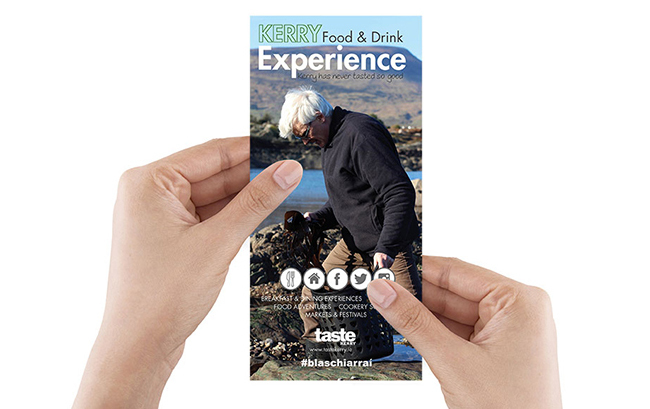 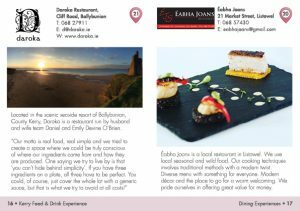 To advertise and promote the new Kerry Food & Drink Experience we designed an A6 size booklet which highlighted the large number of suppliers on the Taste Kerry food trail list – including hotels, restaurants, shops, cookery schools, food festivals and events with a page for each supplier. 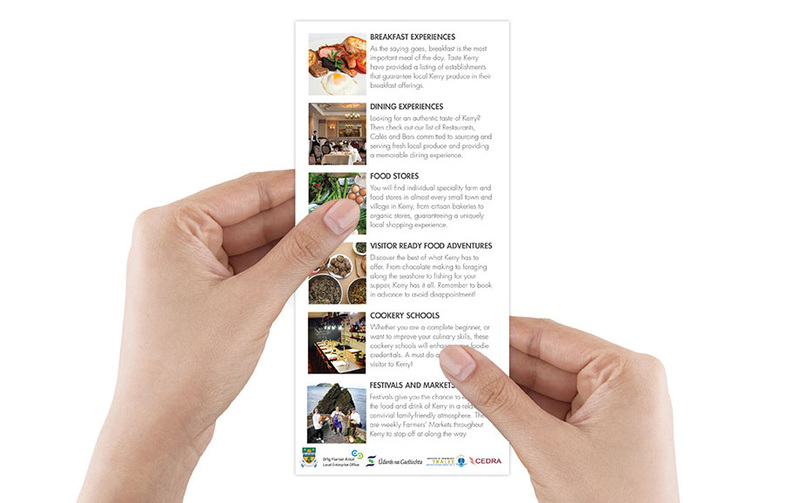 There was an A3 fold out map and double sided DL flyer to accompany this. 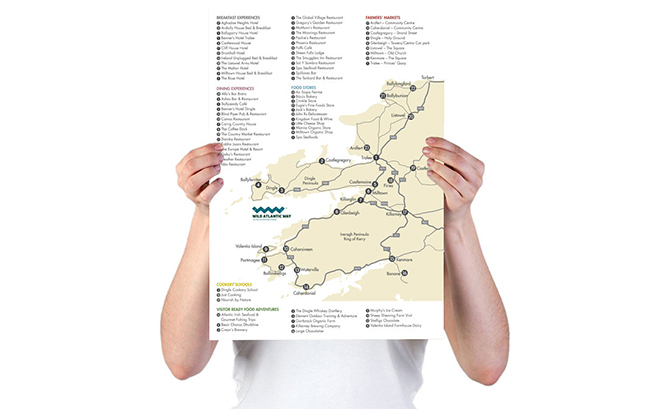 1,000 copies of each item was printed locally and delivered to clients in time for the official launch. 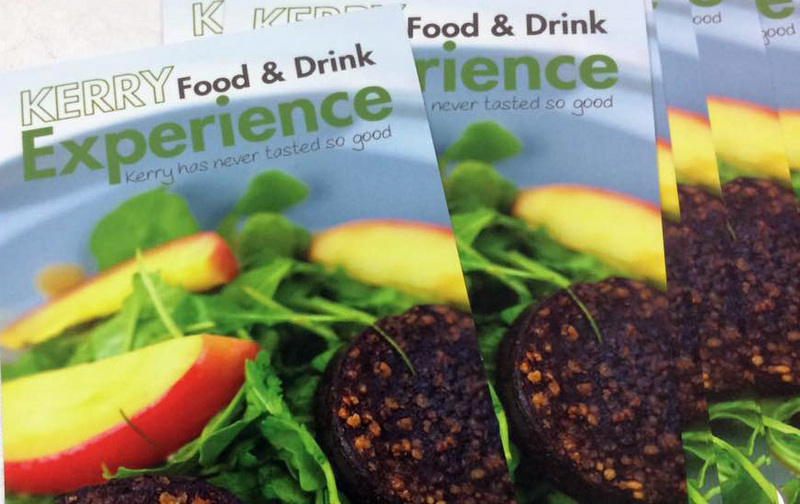 There has already been a reprint of all three items, with the booklet proving to be especially popular.